Some time ago, a Haze covered the club scene at Aria. That haze has since cleared to reveal a beautiful Jewel in its place. If you aren’t familiar with Aria History 101, the previous club was called Haze. We’re not making some elaborate metaphor, just some fun little word play. 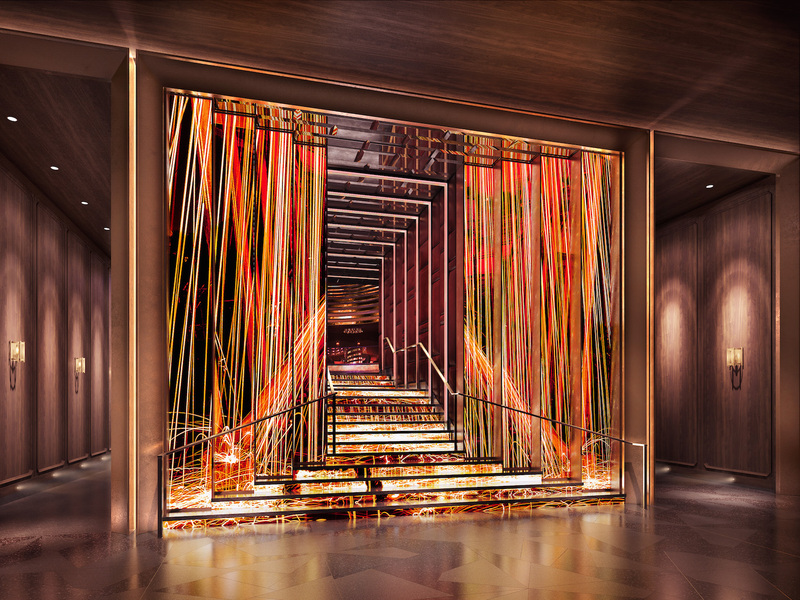 We wanna get you in the right mood for the fun play you’ll have at Jewel, Aria’s newest nightlife megastar. We’re all ready to queue for this one. Photo courtesy of Jewel Nightclub. The creation of the always amazing Hakkasan Group (the people who brought you Omnia, Wet Republic and, not surprisingly, Hakkasan), Jewel holds the tradition of being a multilevel venue where intimacy meets mega-club excitement. Aside from the obvious amenities like out-of-this-world table service, Jewel is a club that flawlessly merges tech and talent like never before. We’re talking state-of-the-art acoustics, DJ decks and an LED wall that’s covered on both sides with lighting effects you won’t believe. This is the club for the partying futurist in all of us. The dance floor is enough to put your party in overdrive, but the mezzanine and table areas give plenty of spaces to reset. In addition to the visuals, Jewel offers an intimate experience that harkens to the classic Vegas clubs. If you need a moment before your dance battles, or if you meet someone you need to get to know a little better, Jewel is a place where intimacy is never overshadowed by the extravagance. And there’s always something to be heard. 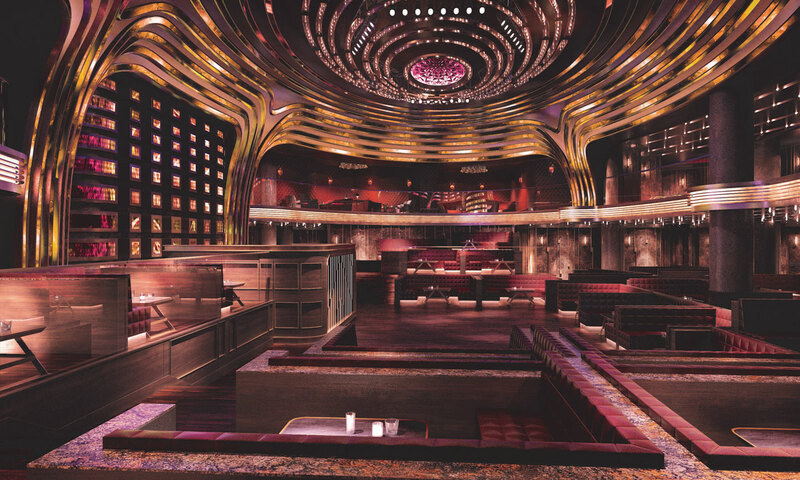 Feel free to Photoshop yourself into this rendering to get an idea what you’ll look like in the club. Photo courtesy of Jewel Nightclub. The lineup for Jewel is already making waves. Opening weekend has the likes of Jamie Foxx, DJ Irie, The Chainsmokers and Lil Jon set to perform. You know the ongoing escapades will put Jewel at the forefront of the Vegas venues. While you’ll always be able to get your EDM fix, Jewel will also bring in live music and perfected performances to provide that human entertainment factor we all crave. Just imagine snuggling up in your skybox while the lights flash and someone special is on the mic. When you’re getting ready for this club experience, think what skybox you want. They all have the goods to get you whatever you want out of the night. And with names like The Prestige, the Gallery and the G.O.A.T. you can, well, still not even imagine what you’re in for. Just be sure to spend at least a little time sitting down and sipping some water. We know the dance floor is compelling, but you need to rest every three hours or so. 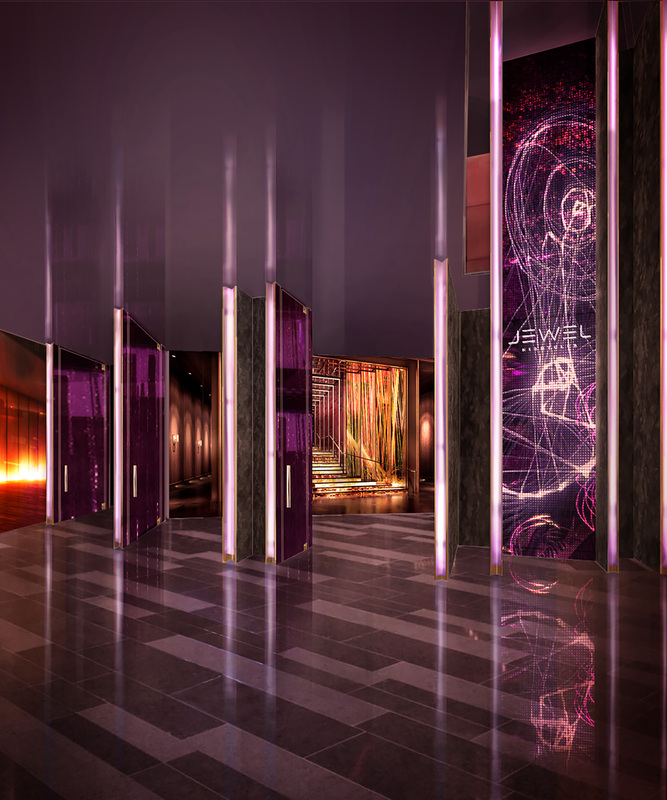 Jewel is a club that knows its market, its people and its place in the ever-modernizing Las Vegas club world. We’ve seen clubs take the future head-on and Jewel is no exception. When you’re ready to club like a pro, dance like a superstar and see just how much thrill you can throw into one night on the town, come to Jewel. Oh, and G.O.A.T. stands for “Greatest of All Time,” not that dirty thing you were thinking. Be sure to check out all the Las Vegas nightclubs on our Clubs Page. The newest place in Vegas we wish we could live. Photo courtesy of Jewel Nightclub.